When you have a black leather jacket or coat and want a hat to match it, why not try one of these nice black leather caps to make your look complete and matching. 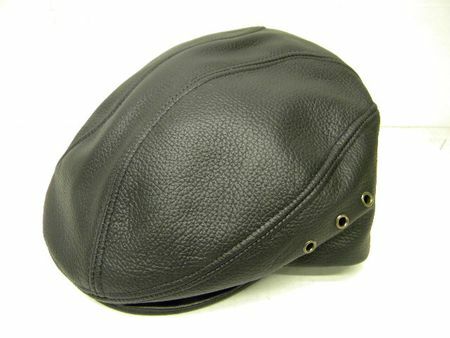 This leather cap is made of richly textured tumbled leather that is cowhide. A perfect way to look well put together.